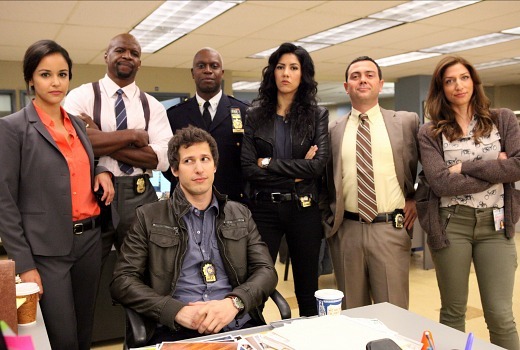 EXCLUSIVE: SBS will move US comedy Brooklyn Nine-Nine to SBS 2 this year. SBS Programming Director Peter Andrews tells TV Tonight, “The plan is to play it on SBS 2 − give it first run for SBS 2 − and then there’s clearly an opportunity for us to play it on SBS ONE as well, but it will premiere on SBS2. The Golden Globe winning comedy is very funny, laugh out loud, well scripted, critically acclaimed. It is right on brand for SBS 2 but it also ticks the box a little bit for the main channel. Sunday nights suited me better. It’s always been more SBS2 than SBS1 – it’s not set in Europe or Asia, and it’s not historical or about soccer. I like it….dont really care if it is on the main channel or SBS2…. I do agree that the change on SBS2 ..for me…was not for the better…. I am still waiting for them to air series 3 of Doc Martin France…seems to have become lost in the shuffle…and phoning SBS does not achieve any results either…. And at this stage…if they do…they really need to re run series 1 & 2 also…. This is the only sitcom airing at the moment I find genuinely entertaining and hilarious. I’ve seen every episode. Ten really dropped the ball not picking this up from their CBS/FOX output deal. How this very mediocre, at best mildly amusing in parts, sitcom won a Golden Globe is beyond me. I gave up after about three eps of series one. There’s a lot worse on TV, but there’s a lot better too. This is a good show and deserves better treatment but at least it’s still on local TV. Didn’t ch9 original buy the show? A great show. One of the few that doesn’t resort to sexual innuendo for laughs for too many laughs. @TT33 The casting of Andre Braugher as Holt is genius. Who would have though that Braugher such a straight laced, serious actor would have the comedic touch. I kept on forgetting to watch this when it was first on because it was after that awful Legally Brown. It also had a few different start times which didn’t help. Think I caught 2 maybe 3 eps. It was alright. Much of Australia seems to have blinkers on with regard to SBS and appear unwilling to even check out some of the absolutely first-rate dramas it has. I’m guessing that subtitles are out because they have trouble reading. I bet a lot of them aren’t even aware that there is an SBS2. Brooklyn 9-9 will now drop completely off their radar but wasn’t doing well enough to remain on SBS1. It’s very formulaic with the comedy coming from a cast of odd ball characters doing the same odd ball stuff every week. It is funny in small doses though, which is more than can be said for most of the network sitcoms at the moment. This is a great series, but I fear it’s way too late for SBS to try and find it a following. Really like this show….also love the rare casting choices for the main characters – not a ‘Anglo-saxon’ amongst them. I thought the first dozen episodes of season 1 to be amusing but it died off as it became too repetitive. It started off as the kind of yankee comedy show I like.